Victorian apartment and retail block built with drop-dead gorgeous exterior craftsmanship. 37 S. Genesee was home to Stern’s Store for Men for nearly a century. One of the most beloved buildings in downtown Waukegan, but was neglected for decades. 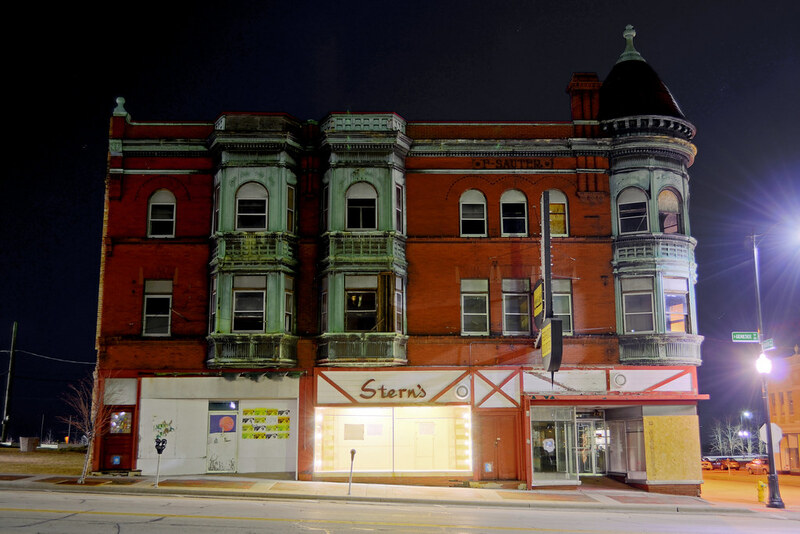 The apartments were condemned, first; then Stern’s was finally claimed by the Great Recession. Notes: Explored in two phases, two years apart. The apartments were never accessible from the ground, so I climbed into them with a makeshift ladder the weekend before it was torn down.